The adoption of 2D barcodes over the past year has been steadily increasing. What was once considered an oddity (at least in North America) when we first used one back in 2008 is now being used by more small businesses and mainstream retailers each and every month. We are commonly seeing the 2D barcodes on everything from business cards, sales receipts, product signage and transit ads. 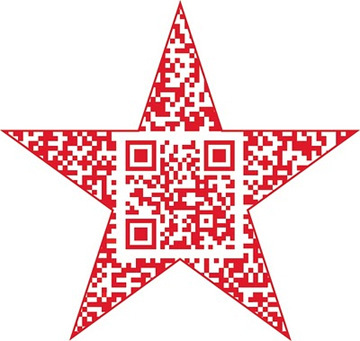 Recently Macy’s introduced QR Codes as part of their Backstage Pass campaign. Shoppers can scan the code or use SMS to access the 30-second videos featuring style tips and fashion advice from Macy’s team of spokespeople including Bobbi Brown, Sean ‘Diddy’ Combs and Tommy Hilfiger. To help explain how to use the QR codes Macy’s created a demonstration video “How to Use Macy’s Backstage Pass” (above), making it available to customers who text “learn” to MACYS (62297) or on the Find Your Magic sitelet, Facebook page or YouTube Channel. Macy’s sales associates will wear Backstage Pass lanyards with instructions on how to use the QR codes. Customers can download a free QR code reader application by texting “reader” to MACYS (62297). This is not the first time that Macy’s has embraced emerging mobile technologies. It first used 2D codes in magazine ads in 2010 was is of the first national retailers to use Shopkick, a mobile application and platform that allows users to earn points for checking in at stores to receive special offers. QR Codes a Passing Fad? 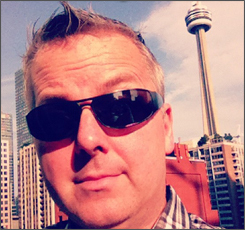 QR Codes are not simply a passing fad as seen in the answers to my question posted on Quora. As GPS and image recognition technologies advance and customers become more comfortable with the check-in, I think we will look back at QR codes as merely the critical first step in connecting real world locations to online content including loyalty programs, deals and value-added content.